Pancakes are always a firm favourite in our house and we seem to have developed a tradition of making them for Sunday breakfast every week. However, I’ll let you into a secret… I don’t like making them! The batter usually turns out ok but at least one always sticks to the pan, it’s tricky to keep them warm so everyone can eat at the same time and it takes ages to make just a few. But, there may be a good solution in the form of Abra-ca-Debora Pancakes. These beauties come in packs of sweet and savoury and you can even get cute little mini ones. They can be heated in the microwave or the oven so all you have to do it think up some exciting toppings. If you need some inspiration, you can check out their recipe page. 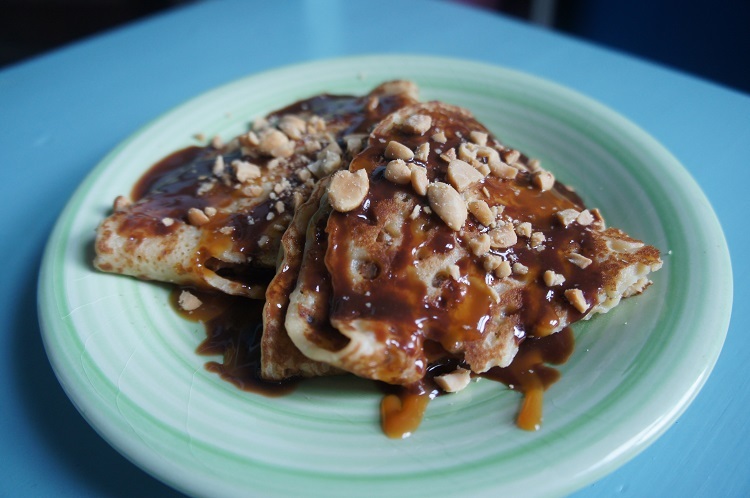 This weekend we had a play with some of the ingredients we were sent, and a few of our own and came up with some delicious peanut and salted caramel pancakes. For a speedy pud we melted a bar of Green and Black’s sea salt milk chocolate in a pan with a tablespoonful of caramel dessert sauce and a glug of double cream. Heat it gently whilst stirring, then pour over the warm pancakes. Sprinkle with some crushed salted peanuts and there you have it. Simple! 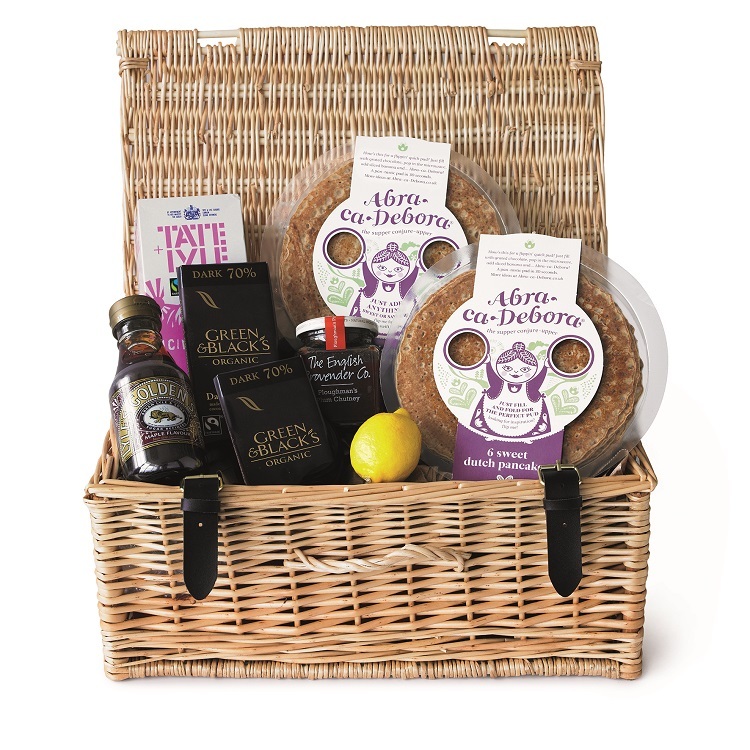 If you fancy whipping up some simple and tasty pancake dishes, then I have a wonderful hamper of Abra-ca-Debora goodies to give away to one lucky reader. To enter: Leave me a comment to tell me what your favourite pancake filling is then fill in the Rafflecopter widget below. Extra entries available via this widget. The giveaway will close at 12am on Friday 7th March 2014. 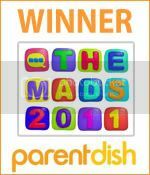 Winner will be contact via the Rafflecopter entry widget and needs to provide their UK postal address by the 11th March 2014. Please see full terms and conditions in the Rafflecopter widget below. It has to be lemon and sugar you cant beat it! Vanilla Ice Cream With A Squeeze Of Lemon Juice Gorgeous! Strawberries and blueberries with golden syrup! Maple syrup and bacon – yum! Like many others here, its lemon and sugar. Got to be maple syrup yum! syrup or chocolate spread with banana! Clotted cream and maple syrup. lemon and sugar, love to keep it original! Chocolate ice-cream if I’m feeling indulgent. I like the traditional lemon and sugar too. My favourite is maple syrup. Sugar & Lemon for me. Lemon and sugar. I’m old school! Treacle , lemon and sugar , although im going to try banana and chocolate as i like both of those. We had icecream and golden syrup lastnight, and it was the best I’ve ever had! Bacon and maple syrup, only tried this recently and it is gorgeous! lemon curd with crushed up meringue bits and thick whipped cream or savory, smoked salmon and cream cheese with a squeeze of lemon. Can’t get enough of them!